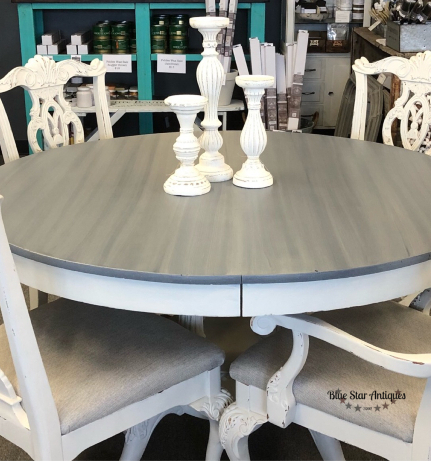 One reason I love painting furniture so much is the huge variety of looks and finishes you can get with paint. 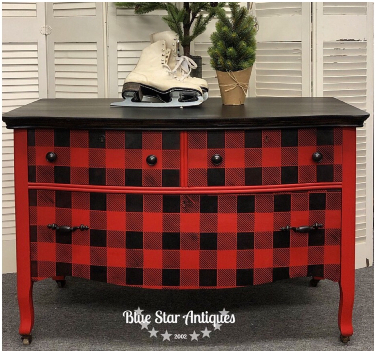 I mean, some of the stuff that other furniture artists put out is just amazing. That made me think about my favorite techniques, so I thought I’d share my top 5 favorite techniques with you! Iron Orchid Designs makes these FABULOUS stamps that provide endless possibility for design. There are florals and borders and birds and bees…Seriously cool stuff. It takes some practice to figure out how much paint to apply to get a great image, but once that’s done stamping is easy. For this piece I used Fusion Mineral Paint but you could easily use ink as well. I found the best way to apply the paint is with a brayer. Roll the paint on and then stamp the image. Voile! 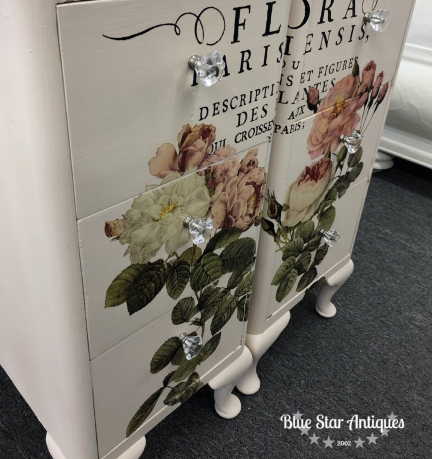 Another great way to spice up a piece is by stenciling a pattern on it. I’m kind of crazy about this buffalo check. If you haven’t noticed, it’s all the rage! This was simple to do, too! 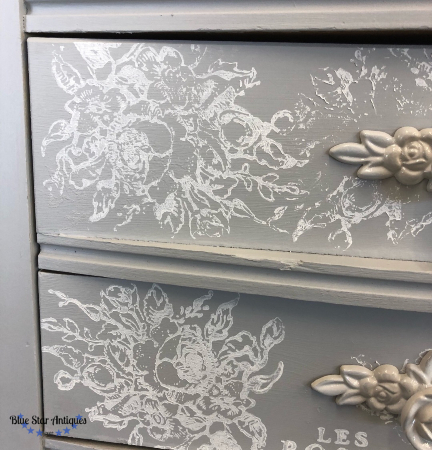 The secret to stenciling is to stencil with a dry brush, and when you think it’s dry, dab more paint off on a paper towel! You want to apply 2-3 light coats of paint. Being anxious and over zealous can lead to paint bleeding under the stencil. I have more people ask about how to create this finish than anything else I do. The amazing thing is that it’s sooooo easy! First, I painted a base coat of Ash. Then I mixed up a combo of 1/2 Driftwood Stain and Finishing Oil and 1/2 White Stain and Finishing Oil, put some on an applicator pad, wiped across the table and didn’t wipe off. That’s it! It takes 12-24 hours to dry but it’s worth the wait! Want to see a video? I put one on my Facebook page you might like! The great thing about my favorite techniques is that they’re so simple! These IOD transfers look spectacular so it’s hard to believe how easy they are to apply. They can but cut apart to fit any piece. Tape in place, rub to transfer the image, and wax to seal it. Some of the images are black outlines that can be applied as is or hand tinted to add your choice of color! This really is my most favorite technique. I’ve used it dozens of times and love the results every time. 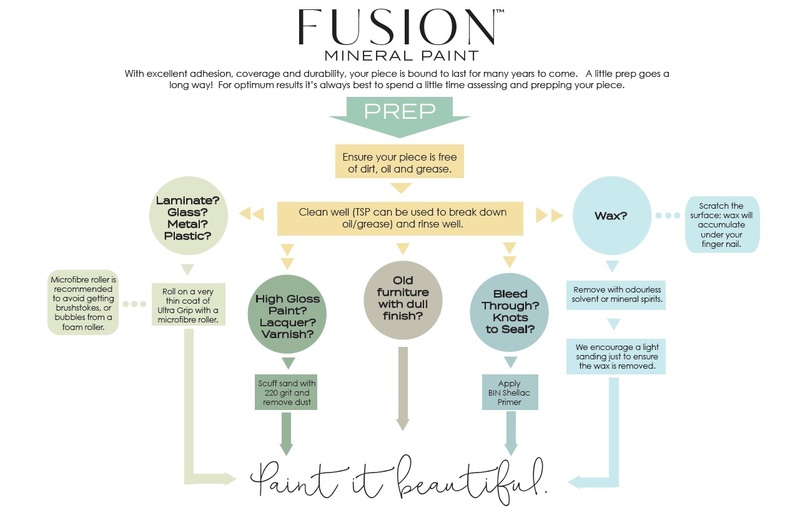 Fusion Mineral Paint is not porous and is self sealing, so it’s easy to apply finishes without worrying about staining the paint. 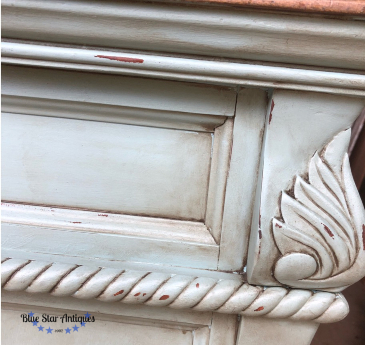 It’s simple to use Fusion’s Stain and Finishing Oil like a glaze. Brush some on and wipe it back. With 6 colors to choose from there are endless possible looks! 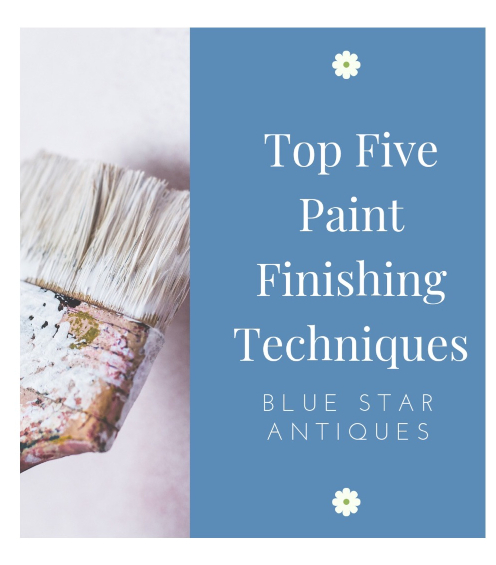 So there you have it; my five favorite finishing techniques. Which one do you want to try? Or better yet, what techniques do you love to use? Do share! I really enjoyed your blog and I watched your video on the barn wood look on the table. Thank you for taking your time to do this. Thank you!! There’s so much inspiration everywhere. Happy to share some. Thank you so much for your blogs and videos. I learn so much from you!! Oh, thank you!! I’m glad you found value in it! !